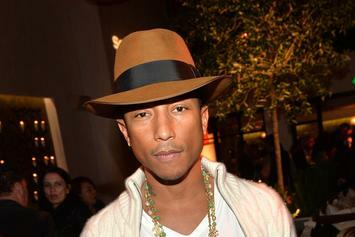 Pharrell will perform "Happy" at the 86th Academy Awards. 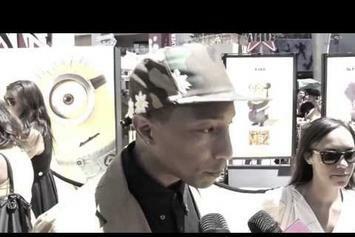 Pharrell's "Happy" Receives Oscar Nomination For "Best Original Song"
Pharrell Williams was nominated in the category of "Best Original Song" by the Oscars for the "Despicable Me 2" single "Happy." Get a load of Pharrell "Talks Jay-Z's Magna Carta Holy Grail" Video, a new visual from Pharrell that saw the light of day on Sunday, June 23rd, 2013. Pharrell's movement grows stronger with each new release, and Pharrell "Talks Jay-Z's Magna Carta Holy Grail" Video has further strengthened that fact. It's a solid addition to the commendable body of work Pharrell has been creating since stepping foot in the rap game, and we're definitely looking forward to what Pharrell has on deck. 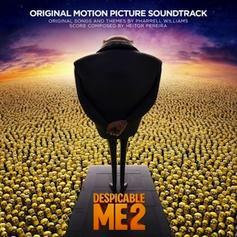 A new Pharrell solo track from the "Despicable Me 2" soundtrack.